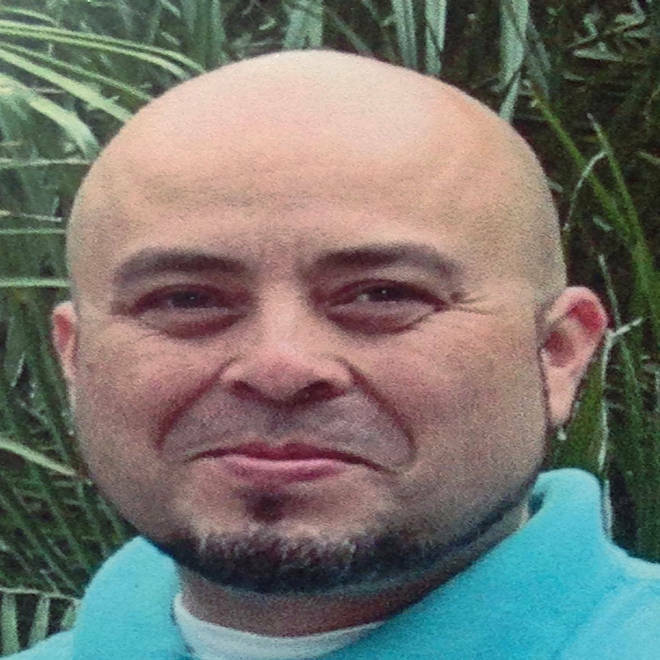 Slain TSA worker Gerardo Hernandez, seen in this June 2013 photo released by him family. 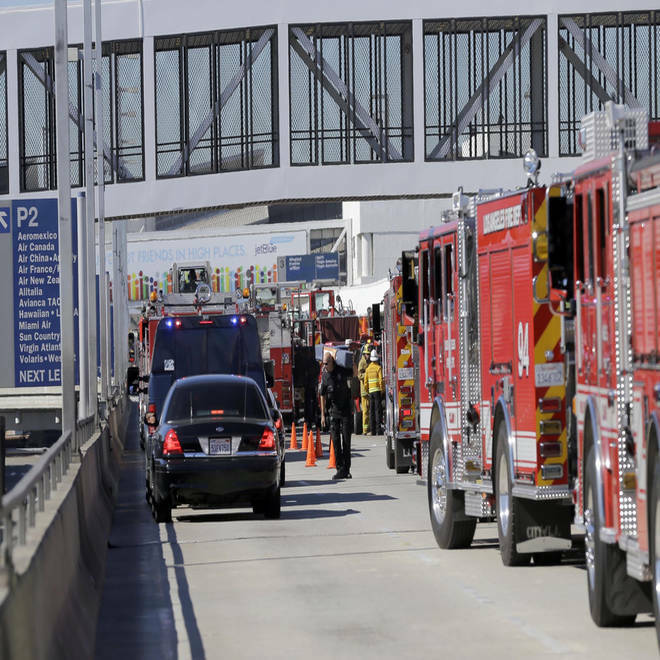 LOS ANGELES - An airport security officer lay helplessly bleeding after a gunman opened fire at Los Angeles International Airport as paramedics waited 150 yards away because police had not declared the terminal safe to enter, according to two law enforcement officials. It would be 33 minutes before Transportation Security Administration Officer Gerardo Hernandez, who was about 20 feet from an exit, would be wheeled out by police to an ambulance, said the officials, who were briefed on the investigation and spoke on condition of anonymity because the probe was still ongoing into the Nov. 1 shooting. While it's not known when Hernandez died or if immediate medical attention could have saved his life, officials are examining what conversations took place between police and fire commanders to determine when it was safe enough to enter and whether paramedics could have gone into the terminal earlier, one of the officials said. Formal conclusions may take months to reach, but what's known raises the possibility that a lack of coordination between police and fire officials prevented speedy treatment for Hernandez and other victims. TSA workers at LAX have been wondering the same thing, said Victor Payes, who works at the airport and is president of the local union. "I basically think there's a lack of coordination between entities at this airport. That lack of coordination may have led to something that shouldn't have happened," Payes said. "We may be talking about Officer Hernandez as a survivor." Representatives for the Los Angeles Police Department, Los Angeles Fire Department and Los Angeles Airport Police said they couldn't comment on the ongoing investigation until extensive reports are finished. Authorities say that Paul Ciancia entered Terminal 3 with a duffel bag, pulled out an assault rifle and started shooting. They said he had a note in his bag that said he wanted to "kill TSA" and that he wanted to stir fear in them, criticizing their searches as unconstitutional. He was shot by airport police officers four times, in the mouth and leg, before being taken into custody. He remains in fair condition at a hospital and his doctors will determine when he's fit to appear in court. In the chaotic moments after the gunfire began, as travelers dove to the ground or scrambled for cover in restaurants and stores, officials worried there could be bombs in the terminal and tried to determine Whether the gunman had any accomplices. In the first 30 minutes, there was also an unfounded report of two suspicious people on an adjacent parking garage roof, one of the officials said. Officers from multiple agencies bent down to check on Hernandez before moving on, officials said. Police broadcast over their radios that Ciancia was in custody at 9:25 a.m., five minutes after Hernandez was shot in the chest. That's when a nearly 26-year veteran Los Angeles police officer checked on Hernandez several times, repeatedly telling officers who came by from various agencies "he's dead," according to one of the law enforcement officials. It's unclear whether the officer was qualified to determine Hernandez was dead. No officers rendered first aid on scene, according to surveillance video reviewed by the officials. Finally, airport police put Hernandez in a wheelchair and ran him to an ambulance. "When somebody is shot and they're bleeding to death, lifesaving skills need to be implemented immediately, in a couple minutes, and they're very simple, pressure dressings, tourniquets, adequate bandages to stop the bleeding," said Dr. Lawrence E. Heiskell, an emergency physician for 27 years and a reserve police officer for 24 years who founded the state and federally approved International School of Tactical Medicine. Police stand outside Los Angeles International Airport on Friday, Nov. 1 after shots were fired. Responding to a situation with a shooter on the loose has changed since the 1999 Columbine school massacre, when officials huddled outside to formulate a plan while shooters continued firing inside and a teacher bled to death without timely treatment. Now police immediately charge in to stop the shooting as quickly as possible; officers are trained to step over the wounded and stop the gunman first, then tend to victims. During active shooter training last month with the LAX police and LAPD, Los Angeles city firefighters wearing ballistic vests and helmets dragged survivors to areas where they could provide treatment. Because police are often the first at the scene where there are injuries, California law requires officers receive first aid and CPR training in the academy and regular refreshers afterward. A recent audit by Los Angeles Police Commission Inspector General Alex Bustamante found that the LAPD had a zero percent compliance rate. Only 250-sworn officers in the Metropolitan Division out of the department's more than 9,900 sworn officers received the refresher training, it states. Airport police have the training. On day-to-day crime scenes, firefighters wait down the street until police clear the scene, usually in minutes, and allow them in, Los Angeles County Fire Battalion Chief Larry Collins, who's a member of a Los Angeles interagency working group creating best practices for mass casualty incidents. "When we have an active shooter, we can't hold back a block away, we've got to go in" because clearing the scene could take hours.